Are Your Detail Employees Unmotivated or Overall Confused? Does Your Detail Shop Need A Makeover? Is Your Detail Department In Need of Help? Used cars not being detailed quickly and correctly? New cars not being cleaned and inspected in a timely manner? Having issues staffing and getting employees to show up on a regular basis? Since 2001 Nathan’s Detailing has been leading the Auto Detailing Industry in NE Ohio. We provide cost -effective, convenient detailing/reconditioning services to Auto Dealerships all over NE Ohio. 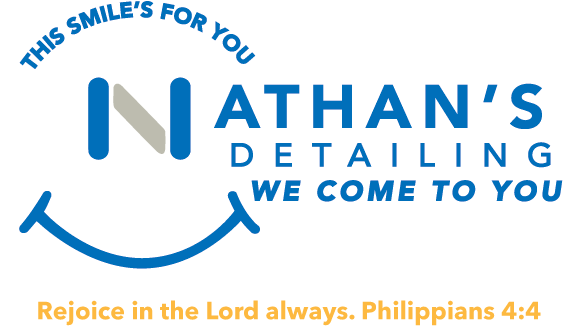 Nathan’s Detailing can provide an onsite labor crew that is well-trained as well as state of the art equipment and products. Our five-star service combined with the most advanced training will surely take your dealership to the next level. Our detailing specialists are experts in high quality vehicle detailing. All personnel are fully trained. Nathan’s Detailing employees are paid hourly not “per vehicle”. Our detailers are not rushed to finish a job. Extensive quality control measures are in place. All Nathan’s Detailing employees are dressed in uniforms for a professional appearance. We use simply the best products and equipment in the detailing industry. Professional management is onsite during 100% of your retail hours as well as oversight by a dealership manager. ALL this while also generating additional income for your dealership through our excellent Customer detail jobs. Your Service department will have the confidence to sell auto details to your customer because I know it will be done right. They will not have to deal with an unhappy customer! 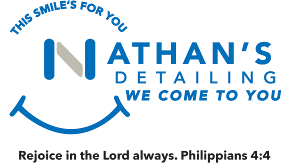 Our team at Nathan’s Detailing are experts in high-quality vehicle detailing. We understand that you value your investment and we will treat your vehicles with as much care as you do. In our business referrals are our main source of growth and we stand behind our work and know that you will be thrilled with your decision. We are committed to our bringing the highest level of customer service and excellence in all areas of our business. Many Dealerships already entrust their pre-owned/used car and new car detailing to Nathan's Detailing because of our dedication to producing a great product that we can be proud of. To improve the lives of our clients by providing a premium detailing service with a smile on our face! We believe that providing our services to a premier dealership will improve the buyer experience! No problem, call or text today and we’ll help you choose the best fit!